In this article we will go over how to add a New User, make sure they are assigned the correct User Role, and verify they are set up with the correct User Group. Hover over the Users tab >> Add New User. 3. (Optional) Add the new user's Email Address. Verify the email address is correct. A User’s email address is vital to receiving set issue notifications and changes made to passwords. 4. 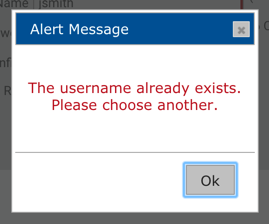 Create a User Name for the user. The User Name can be a combination of letters and numbers but there is a limit of 12 characters that a User Name can be. NOTE: the User Name needs to be unique. If you get an error like the one shown below, it means that another User across the entire Silvertrac database is using that User Name. It does not mean that the User Name is already set up in your account. 5. Create a Password for the user. Passwords MUST be a minimum of 6 characters in length. 6. Password Confirm - reenter the Password exactly as created in the box above. 7. 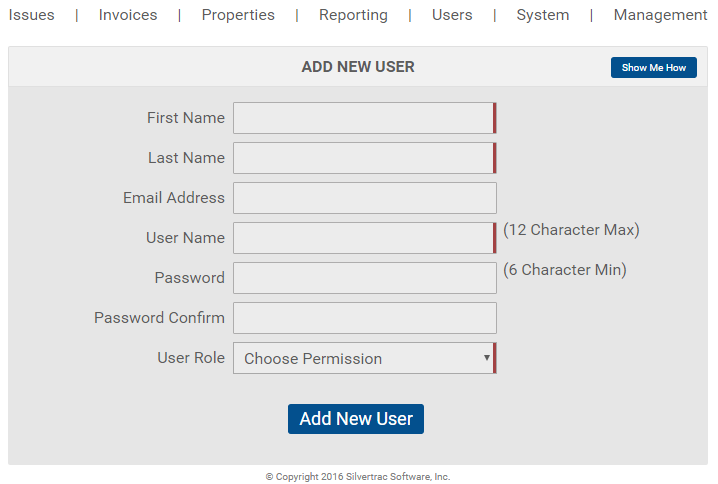 Select a User Role that applies to the type of access you would like to have for the new User. 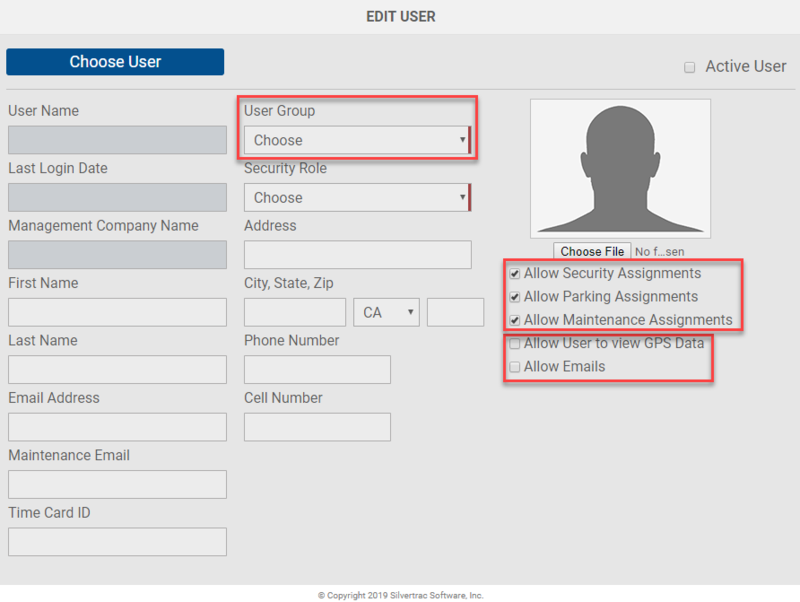 NOTE: You can edit an employee User Role within the Employee User Role selections, and you can edit a Customer User Role within the Customer User Role selections. You cannot however, edit an Employee User Role into a Customer User Role or a Customer User Role into an Employee User Role. 8. Click Add New User. You will then see a pop up Alert Message (as seen below) Click OK. The User Group is the group of properties this User will be allowed to see when they login to both the web portal and/or the handheld device. 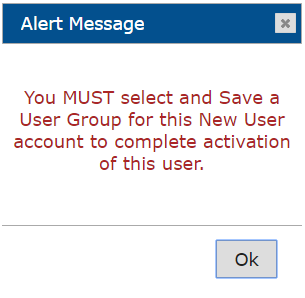 Make sure that the User Group assignment includes all of the properties you want this User to report and/or review issues. 10. Review and select the "Allow" options on the right third of the screen. These Allow options control what type of issues the User you are setting up is allowed to create and receive. NOTE: In the screenshot example above, the officer can create Security, Parking and Maintenance issues. Since an guard does not have access to log onto the Issue Monitor they would not have the Allow User to view GPS Data or Allow Emails boxes checked. 11. Click Save User Details.